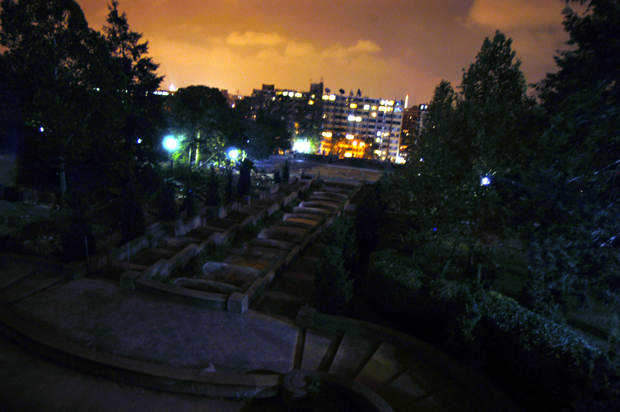 This is Meridian Hill Park at midnight. Walked through it tonight to get home from a popular D.C. music venue, the Black Cat. A lot of creepy guys hang out there at night but nothing too exciting. I went through the dried up fountain and climbed the waterless falls to the top, til I saw a cop. Then I took the sidewalk. I was thinking on a previous walk by Meridian Hill Park, the greenery smells like musty bedclothes ... probably the people who live in there.